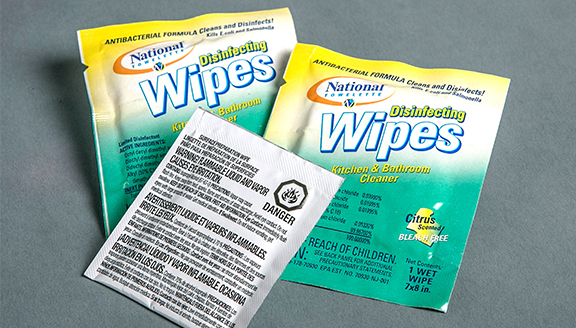 Welcome to National Towelette Company Inc. We specialize in manufacturing private label store, and value brand wipes. We combine quality cleaning fluid chemistry technology, superior wipe fabrics, and state of the art packaging in single packs, canisters, flat packs and buckets to craft excellent products that exceed expectations. National Towelette Company can take your superior cleaning fluid, established brand, or new idea and turn it into a wipe. As we assist you in developing your product, there are some things to consider in the making of a wipe. There are a great variety of wipe materials available. We focus on American made fabrics, but there are plenty of options from cost effective imported fabrics from China, to fine Italian fabrics. Choosing the right material will enhance the performance of your chosen fluid to create a superior cleaning solution. Is your product best suited for single packs, canisters, flat packs or buckets? Each packaging option has its strengths. Single packs offer portable cleaning power. 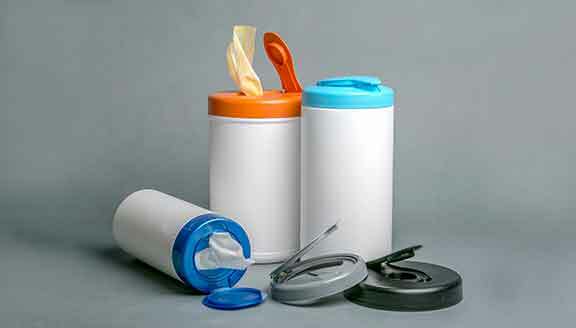 Canisters make for a great display, and flat packs provide great value in reduced packaging material costs.